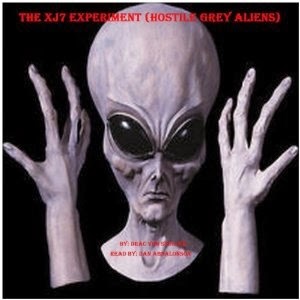 Dan Absalonson | Author of SciFi & Fantasy: The XJ7 Experiment: Hostile Grey AliensA New Audiobook I Narrated and Produced is Live! A New Audiobook I Narrated and Produced is Live! I had the pleasure to narrate and produce The XJ7 Experiment for Drac Von Stoller. It was an absolute blast. This audiobook was a very different animal. While it was very short, there was a lot of production involved because the author requires that his stories have sound effects to enhance his audio books. I love producing these kinds of stories in audio! Although this is another Science Fiction story for me, it's also my first horror book. It gets pretty gruesome and the sound effects only add to the intense scenes. Have a listen to the sample, and hey why not support a couple indie guys and buy it to hear the rest. It's only $3.95 and although it's short - it really packs a punch. The two of us have partnered up again on another one of his stories called Airpocalypse that I'm really excited about. It really shines in audio and I can't wait for you to hear it. It's another one with sound effects and will be one of those audiobooks you'll want to listen to in a quiet place with really nice headphones on so you can hear all of the intricacies and texture of the sound. That one should be out in just a couple weeks and I'll be sure to post about it when it goes live. Thanks for stopping by!